CipherLab Welcomes New Distribution Partner in Mexico - CipherLab Co., Ltd.
Mexico DF. Mexico - Wednesday 11 Nov., 2015 - CipherLab, one of the world's leading AIDC solutions vendor for a wide range of industries with over 27 years in the scanning, mobile computing and design of commercial and industrial processes market is pleased to announce its business strategy for Mexico, involving the renovation of the local commercial structure and a new system of approach to the distribution channel. "We are excited to share our new strategy with the distribution channel, presenting, besides of a new and nurtured portfolio of products, the business solutions that help channel partners to have a fresh approach with its customers through a fully renovated vision" said Martin Chih, Business Development Manager for Latin America. During the CipherLab Day event, held at famous La Hacienda de Los Morales in Mexico City, with the presence of more than 50 strategic business partners, CipherLab introduced Building IT Solutions (BITS) as a wholesale distributor, who will be responsible for the fulfillment of doing business with the CipherLab such as inventory availability, training local service and support. 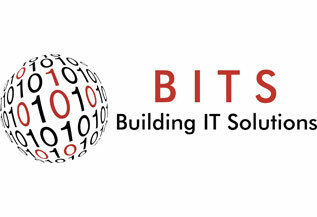 BITS is a different alternative to the distribution channel that can offer comprehensive solutions based on CipherLab technology" said Jorge Arce, Director of Sales of the company. Meanwhile, Guillermo Vallejo, CEO of BITS commented, "We are very excited to take on the challenge of developing the brand in our country; we are convinced of the enormous opportunities that exists in the Mexican market for a professional brand as CipherLab." "In the near future we will see how CipherLab becomes a key player in Mexico and we see market opportunities with great potential for development, in which a portfolio of solutions as the one that we currently offer fits perfectly" concluded Chih. CipherLab is a global leader in the design, manufacture, and marketing of Automatic Identification and Data Capture/Collection products and systems. The company's mobile computers and scanners are integrated into the networks of some of the world's best known logistics, retail, distribution, government installations and healthcare companies, helping them run more efficiently and effectively onsite and on the road. Operating worldwide, CipherLab is headquartered in Taipei, Taiwan with offices in Chinaand the USA, and is publicly traded on the Taiwan stock exchange (Taiwan OTC: 6160). For more information, please visit www.cipherlab.com.